The New York Times finally does a big take-out on Ron Paul’s ties to the seamier* sides of the conservative movement. No disrespect intended, but… well, what took so long? Here’s one of the key points in the story, explaining why Ron Paul’s allies thought they should go after racists and convert them to the cause. 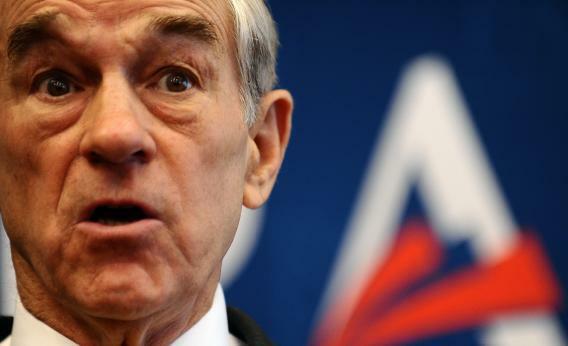 As the Libertarian standard bearer, Mr. Paul won less than 1 percent of the vote. After the election, as libertarians searched for ways to broaden the appeal of their ideology, Mr. Rockwell and Mr. Rothbard advocated a coalition of libertarians and so-called paleoconservatives, who unlike hawkish “neocons” were socially conservative, noninterventionist and opposed to what they viewed as state-enforced multiculturalism. This is new to the Paper of Record, but Julian Sanchez and I wrote about this – these two exact essays – nearly four years ago. Why has it taken four years for these public domain facts to become “news”? How did Paul slide through a year of televised debates, where his rivals were asked about their opinions of “submission” in marriage and accusations of affairs, and never get a question about this stuff? Paul’s associations haven’t changed in four years. His explanations haven’t changed. You can see why Paul’s fans might get annoyed or paranoid about this. They thought they’d litigated this stuff already, and earned a pass.